José Mourinho has revealed what he said to his players at half-time of the 2-1 derby day defeat on Saturday against Manchester City. His team-talk and changes helped United turn around their woeful first-half performance, but it was not enough, as Pep Guardiola’s side emerged as victors at the final whistle. Zlatan Ibrahimovic’s goal late on in the first half gave United hope going into the second 45, yet it was not to be for the Red Devils. 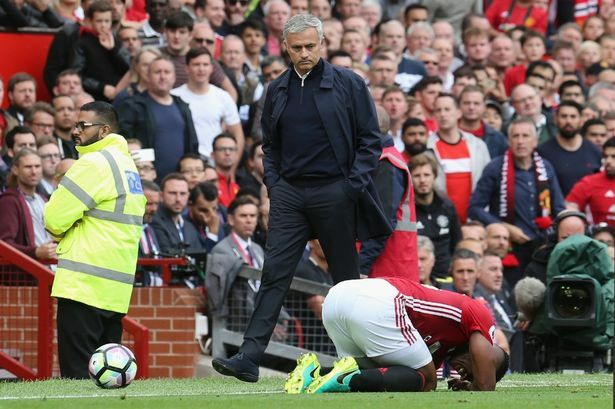 Mourinho aired his frustrations to the players in the dressing room at half-time, and believes that some of the lads may have felt the pressure of the big game. “What I said at half-time I told them in the last three days, instead of 10 minutes, much more,” Mourinho said, as per The Peoples Person. “So every time we were preparing the game and every time we were analysing and trying to reduce the unpredictability of the game, we spoke about this situations. “What I told them at half-time was for some of you it looks like you are trying to do what I told you not to do. And it was this: I told 20 times today never play the first station ball, never, never play because it’s where they want to press. It happened 20 times during the game. United switched to a 4-3-3 in the second half, which improved their performance significantly, with Ander Herrera impressing with his positive appearance off the bench. Mourinho’s next challenge is against Feyenoord in the Europa League on Thursday, a game which he will look to have a much better start to in comparison to Saturday’s loss.